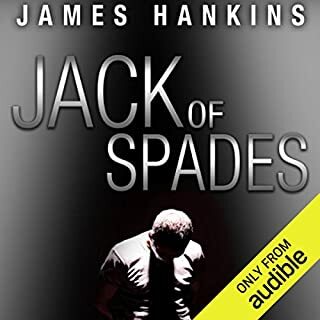 Charlie Beckham is a rising star among federal prosecutors until, on the morning of the most important court day of his career, a deranged homeless man turns Charlie's life upside with a single word. He calls Charlie by a secret nickname known by only one other person in the world - Charlie's brother Jake, who went missing thirteen years ago. Charlie has a hundred questions but the homeless man disappears before Charlie can ask a single one. 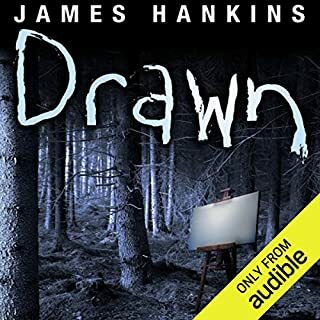 In Drawn, a mysterious little boy has begun appearing in the paintings of an artist who can't remember ever actually seeing him. A partially blind, disfigured agoraphobic who suffers crippling panic attacks if he even tries to leave his apartment is forced out by an unseen entity. A lonely widower begins to suffer terrifying nightmares that his long-missing, presumed-dead son is still alive and in mortal danger. A young runaway realizes that a man he thought was his traveling companion is actually his captor...and a predator. This novel is a first for me! Just two years ago, the media turned Detective John Spader into a hero. He'd caught a twisted serial killer terrorizing Massachusetts, and the "Jack of Spades," as the media dubbed Spader, was born. But when the murderer walked free on a technicality - free to kill again - the public turned on Spader. Now a new serial killer is on the loose. He wears the silly, gap-toothed, grinning mask of Galaxo, Starboy Avenger! - a cartoon alien of unparalleled popularity with children. Vermont’s promising young governor, Andrew Kane, is at another public meet-and-greet when a stranger from the crowd slips him a cell phone and whispers, “Keep this with you...keep it secret...you’re going to need it after the arrest.” Hours later, Andrew’s brother, Tyler, is taken into custody - framed for the brutal murder of a young woman - and Andrew discovers there is only one way to free him: answer the mysterious phone and agree to a blackmailer’s demands. All the governor has to do to make it all go away is compromise everything he stands for and grant a full pardon to a convicted felon. On an icy winter's day in southwest Michigan, Grace Abbot wakes up as the survivor of a car crash. But she's left with a traumatic brain injury and a terrifying reality: she can't remember anything. Left in the care of her sister, Grace returns to the family's secluded old farmhouse to recover - but within an hour of her return, the police arrive. Grace's boyfriend has been murdered. Without any memory, Grace has no alibi. But why? But wait. But What? After enduring a childhood of horrific abuse and crushing poverty, Tucker seeks refuge in her rural Tennessee home. The three grandchildren she is raising are her only connection to the outside, and her demeanor is purposefully rough. But her world is turned upside down when a new neighbor, Ella, moves into the old McDaniel place next door. Best novel I have read in a long time; anxious to listen to sequels!!!! Nineteen years ago, Indiana police found the body of a young girl, burned beyond recognition and buried in the woods. They arrested George Calhoun for murdering his daughter, and his wife testified against him at the trial. George maintains he didn’t do it. That the body isn’t his little Angelina. But that’s all he’s ever said—no other defense, no other explanation. The jury convicted him. Now his appeals have been exhausted, and his execution is just six weeks away. In one hand small-time crook Stokes holds a backpack stuffed with someone else's money--$350,000 of it. In the other hand, Stokes has a cell phone, which he found with the money. On the line a little girl he doesn't know asks, "Daddy? Are you coming to get me? They say if you give them the money, they'll let you take me home." 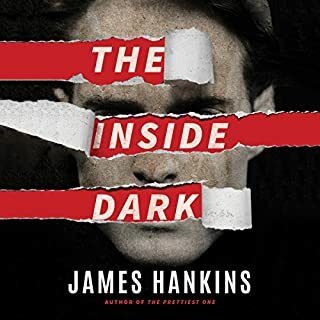 From best-selling author James Hankins comes a wrenching story of an unscrupulous man torn between his survival instincts and the plight of a true innocent. Faced with the choice, Stokes discovers his conscience might not be as corroded as he thought. What made the experience of listening to Shady Cross the most enjoyable? This is a good fast paced book. Nonstop bad luck the whole way through. Yes it certainly did! This book moves right along starting from probably the first 10 minutes or so and doesn't stop the whole way through. If you're on the fence- get the book. It is a little different then the typical rainy day nothing to read, short on attention span book in that our hero isn't such a hero but a rather shady character himself and at times not too likable. He is shockingly redeemable giving it this memorable ending. Not especially, I was interested in the story, but there weren't a lot of surprises or twists and turns as we went. I think there was a good amount of building tension as we got to the end of the story. The end. I can't say why, but the end is what made me like this book more than I would have expected. I did breeze through this book pretty quickly, even though there were some graphic parts that made me cringe. A story that doesn't try harder than it needs to. Good in the sense that you really feel you're getting the story from Stokes' point of view. From word choice to his actions you see it from his eyes. and in that, the choices he makes, make sense to you. I enjoyed it. loved it so much I woke my husband! If you could sum up Shady Cross in three words, what would they be? buckle up and prepare to be hooked, you won't want to turn this one off! What was one of the most memorable moments of Shady Cross? the ending killed me it was great but i had to listen twice just to make sure! What about Bon Shaw’s performance did you like? his voice was perfect for the stokes character I really saw it all in my mind because of him! yessss ! The ending what are you kidding me ??? I know it was a great ending but still floored me!!!! I got hooked on this by the 3rd sentence. I stayed up till 3am to finish it then had to tell my husband all about it I hope they make a movie out of this one please make a movie! I see mark wahlberg as the lead! 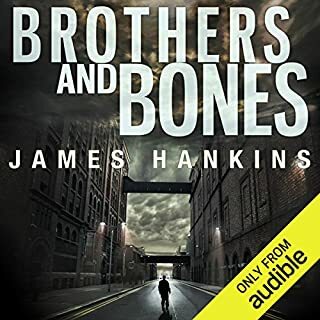 When I purchased this (on sale) I didn't realize it was by the same author as "Brothers & Bones" which I thoroughly disliked and quit about 1/3 of the way through. I didn't realize it until after I had decided that I was wasting my time with an unlikeable protagonist doing very unlikely things. It is going back right after they post this review. 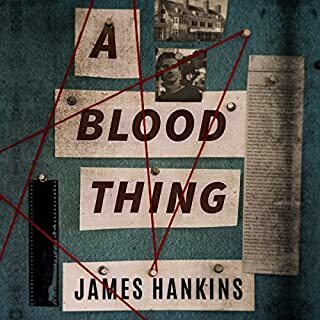 There are many, many, many great mystery/thriller writers out there - maybe Mr. Hankins will become one, but I'm not going to try any more of his books. If you are looking to be entertained with a good amount of suspense, then you will more than likely love this novel just like I did. The story captures your attention right away and the suspense starts to build from the first sentence and continues to build right up until the heart breaking ending. I had hoped for a "happy ever after" type ending, but I trust the author's ending which really made me think more highly of the hero. This story's hero does not start out as hero material. 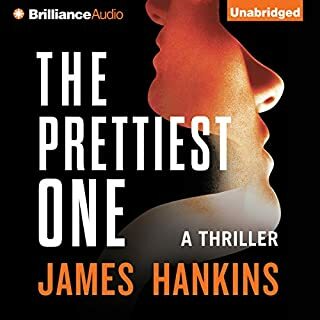 As a matter of fact, I thought that I might not like him because he was a bit despicable in the first few paragraphs.... but I was soon (very soon) rooting for him.... especially after he started to connect with the little girl in the story. At the end of the day, this story is about redemption and the ultimate sacrifice. There are numerous moments in the story where the hero has to rethink his strategies, motivations, and actions which lead to plot twists and left me on the edge of my seat. This is a true "page turner" and "hard to put down" listen. If you're looking for a "this really could have happened" book, this isn't for you. But if you can suspend reason and rationality for awhile, go with the story, then this is a good choice. These events are so far-fetched as to be beyond implausible, but even so, it's a great tale and you'll find yourself hooked, wondering what will happen next. I didn't like the ending, but that's just me.... as I say, there's nothing real about this story anyway. I Listened In Basically One Sitting! I have already recommended this book to friends. I, also, suggested that they listen via Audible and read it physically at the same time. No, I do not work for Audible. What other book might you compare Shady Cross to and why? I have no comparison for this book due to it's story-telling structure, if you will.One might be tempted into a bad habit of calling the plot points in this book "plot twists". I shall try to describe what I mean without giving away any spoilers:There are multiple and fantastic plot points in this story. There are numerous situations that require the protagonist to re-think his strategies, feelings, motivations and actions. The craziest of them might not be feasible but they sure keep you 'on the edge of your seat'. The plot is full of numerous 'enjoyable to read/listen to moments and situations'.Now, with that said, some of these moments indeed provide plot twists. Heck, in another person's mind, maybe they are all plot twists. OK, don't read this review anymore ... just go get the book. Have you listened to any of Bon Shaw’s other performances before? How does this one compare? I may or may not have listened to this narrator. Bon Shaw freakishly sounds like R C Bray, of "The Martian" fame. Either the same person under different names or brothers. The Protagonist was smart-mouthed and sarcastic and Bon Shaw has the perfect voice for portraying such a man. With the exception of spending 15 minutes with my doctor, I listened to the book from beginning to end in one setting. I bit my nails a bit today before I realized it. The action is non-stop in this thriller. It might a bit passé to say that I rooted for the Protagonist but I did, not for things to turn out well for him, but that he find sure success. You also know that he should pay for all the illegal things he did along the journey. You truly want this criminal to change his wicked ways. Listen to the book and see if he does. Pretty good listen. Great narrator. I will definitely buy his next book. kept my attention. Near constant sunspense; great entertainment! James Hankins does not write great literature, but he does write very entertaining novels. Anyone who loves fiction has learned to suspend disbelief in order to get very involved because most fiction involves the unlikely. Stokes, the protagonist in Shady Cross, is a minor league criminal who repeatedly risks life and limb to try to save a kidnapped 5 year old girl he has never met. He has a teenage daughter himself. He feels very guilty about not seeing her since she was two years old and thoughts of her drive him. The list of unlikely circumstances that occur in this novel are is staggering in number and irony. They include the kidnapped girls father being killed in an accident delivering the money to kidnappers, the girl's stepmother setting up the kidnapping, a small time criminal finding the $350,000 and cell phone used to communicate with the kidnappers, the protagonist having worked with the kidnappers on criminal activity in the past, etc, etc. But I have already said that lovers of fiction already know how to suspend disbelief in order to be entertained. 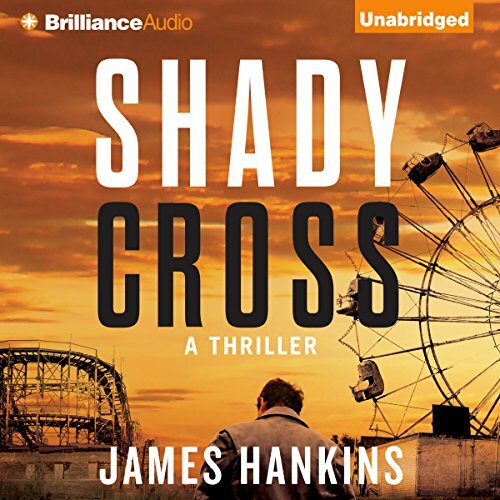 Shady Cross is an immensely entertaining page turner that I listened to well after I should have been asleep in order to finish it. I could not put it down. The finish was worth the wait. Entertainment and constant suspense make this a 5 star book. Shady Cross is NOT great literature, but it is an entertaining novel well told. I love this book! This is an amazing book. Bon Shaw is amazing as always. Don't hesitate. Listen Now!